Shell has interests in several companies in Nigeria that help power economic growth and improve the quality of life for Nigerians. Safety and security remain top priorities and we continue to work closely with federal and state government agencies, communities, civil society, contractors and joint venture partners to create a safe operating environment. Shell Companies in Nigeria produce oil and natural gas, distribute gas to industries and for domestic power generation, produce liquefied natural gas (LNG) for export and generate revenues for the government. Nigeria LNG operates a facility on Bonny Island in Rivers State that produces LNG for export. The companies also contribute social investment in communities and support the development of Nigerian communities and indigenous companies. Unlocking the rich oil and gas resources in the deep waters of the Gulf of Guinea can help meet growing energy demand in Nigeria and international markets. Since 2005, the Shell Nigeria Exploration and Production Company (SNEPCo), operator of the Bonga field, has produced more than 819 million barrels of oil cumulatively that generated a stable source of revenue for the Nigerian government through taxes, royalties and levies. In 2018, SNEPCo continued to use its knowledge, experience and proven deep-water technologies to unlock new resources safely and efficiently. The Shell Petroleum Development Company of Nigeria Ltd (SPDC), the operator of the SPDC Joint Venture (SPDC interest 30%), is working closely with its government partner, the Nigerian National Petroleum Corporation, to increase gas for power supply. In 2018, SPDC made a commitment to deliver three of the government’s seven biggest gas projects, one of which – the Assa North Gas Development Project in Imo State – received its final investment decision in December. At peak production, this project is expected to produce 300 million standard cubic feet of gas per day, contributing to increased power generation and industrialisation. 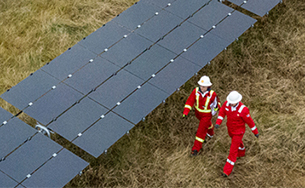 A new financing model was developed in 2017 to overcome challenges with government funding for the SPDC JV. The model’s purpose is to help fund future projects, including those to commercialise the country’s gas resources. 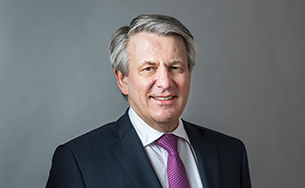 Shell Nigeria Gas, the only wholly-owned subsidiary of an international oil company involved in gas distribution in Nigeria, expanded its capacity in 2018 by the equivalent of 400 megawatts of gas to power. This was achieved by adding production facilities in Ogun State. It will help to increase gas supply to industries and boost local economies, while also providing job opportunities to the country. 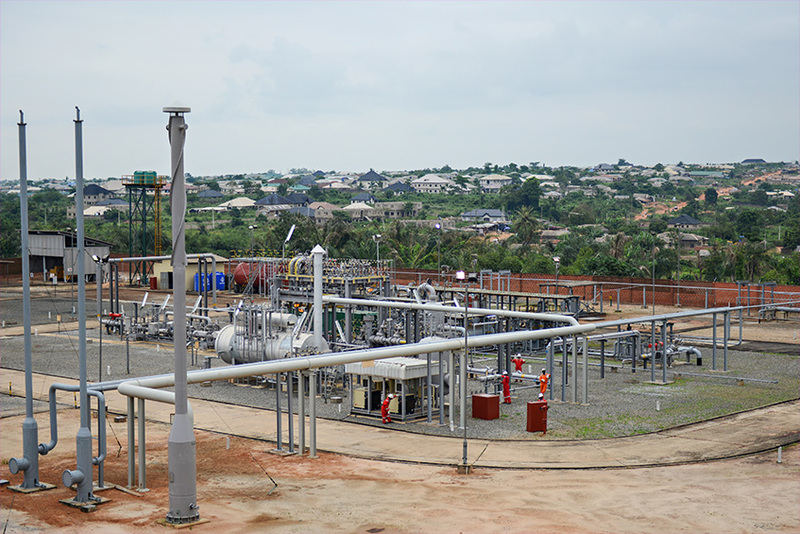 The Agbara/Ota pressure reduction and metering station in Ogun State, where new production facilities were added in 2018. The safety of employees and contractors in Nigeria remains our top priority. Shell companies there continue to strengthen the safety culture and leadership, which is focused on achieving no harm to people and no leaks across their operations. We refer to this as our Goal Zero ambition. In 2018, the number of personal injuries that required medical treatment or time off work decreased to 13 from 19 in 2017. 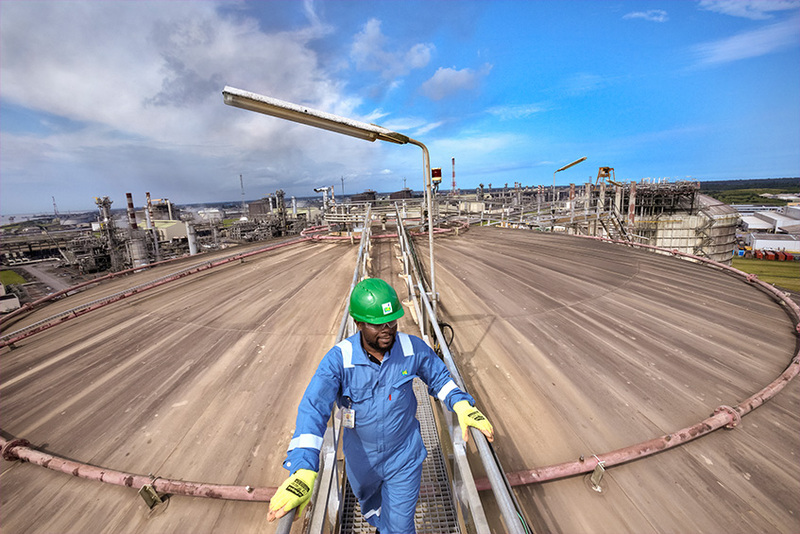 The focus in safety was on three areas in 2018: improving how managers stop unsafe work in their teams, preventing objects being dropped from height – a common hazard in the industry – and marine safety. This included a business-wide stand-down moment to give employees and contractors time to reflect on how to prevent incidents. Campaigns were also run in production operations to help people better understand the safety culture in their workplace. Shell Companies in Nigeria continue to contribute to the safety of communities around assets by responding to third-party fires and emergencies. In 2018, Shell companies responded to 69 of these incidents, including an overturned fuel tanker and a search and rescue operation on a collapsed hotel building under construction, both in Port Harcourt. Security issues, sabotage and crude oil theft in the Niger Delta remained significant challenges in 2018. 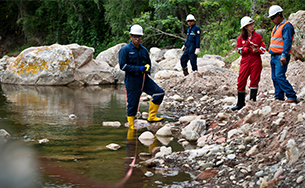 Shell companies there continued to address safety and environmental challenges related to illegal activities and operational spills. Although there has been no major damage to key oil and gas infrastructure caused by militant activity since November 2016, the security situation remains volatile in this region of the country. Shell Companies in Nigeria continue to support the development of local communities and companies as part of their contribution to the economy. We also work with the government, communities and civil society to fund and implement social investment programmes. Community-driven development programmes and initiatives also are funded, with focus areas as determined by benefiting communities. Shell Companies in Nigeria have provided technical and financial support to Nigerian companies across a range of sectors, including transport, manufacturing and research and development. For example, SAIDEL Nigeria Limited, working on the SPDC JVs South Swamp Associated Gas Project, acquired the first Nigerian flagged pipelay vessel in Nigeria (S900). At state government and local community levels, Shell Companies in Nigeria focus their social investment activities on areas such as enterprise development, education, health and access to energy. 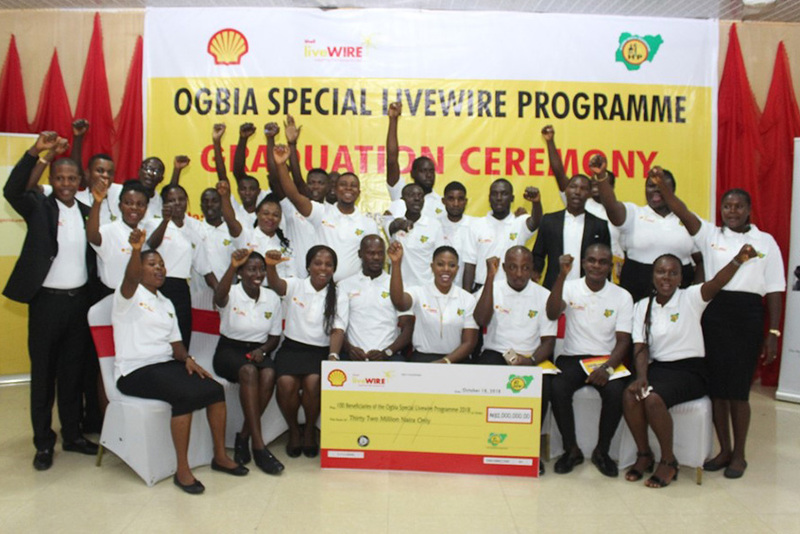 In 2018, Shell’s flagship youth development programme, Shell LiveWIRE, was launched in the Ogbia community in Bayelsa State. The Ogbia community is located close to Oloibiri where the first oil well was drilled in Nigeria in 1958 and near to SPDC JV’s Kolo Creek Flow Station. Three categories of beneficiaries – university graduates, secondary school leavers and informal women traders – undertook entrepreneurship training and on graduation received business start-up grants totalling about $90,000. This will enable them to convert their bright ideas into sustainable businesses, creating wider employment and income opportunities for their communities. Graduates of the Ogbia LiveWIRE programme received entrepreneurship training and start-up grants. Tarakiri Cluster is a collection of six communities in Bayelsa State in the Niger Delta that undertakes development projects and programmes supported by the SPDC JV and delivered through the global memorandum of understanding (GMoU). “We are working to empower communities to undertake their own development by themselves. The GMoU cluster in Tarakiri started in 2010 and has received around $5.8 million to finance about 92 projects and programmes, including job training, and for basic services and infrastructure. Around 85 of the projects have been completed. One ongoing programme focuses on enterprise and business skills development for women, part of the mandatory 15% funding allocation under the terms of the GMoU, and provides grants to get their projects off the ground." Economic contribution from all SPDC JV partners to the Nigerian government from 2014–2018. Shell Companies in Nigeria contracts awarded to Nigerian companies in 2018. Employees of Shell Companies in Nigeria in 2018 who are Nigerian. Shell share of royalties and corporate taxes paid to the Nigerian government in 2018 (SPDC $0.9 billion; SNEPCo $0.8 billion). Shell Companies in Nigeria spend on contracts awarded to Nigerian companies in 2018. Niger Delta youth trained in enterprise development and management since inception in 2003. SPDC JV, SNEPCo and Shell Nigeria Gas and All On direct spending on social investment projects in 2018 (Shell share $31 million). Funds disbursed by the SPDC JV to GMoU clusters for community-driven projects since inception in 2006. SPDC JV and SNEPCo secondary and university educational grants awarded since 2011. All On, an independent impact investing company with seed funding from Shell, works with partners to increase access to commercial energy products and services for underserved and unserved off-grid communities in Nigeria, with a special focus on the Niger Delta. Off-grid energy solutions span solar, wind, hydro, biomass and gas technologies deployed by both foreign and local access-to-energy companies that complement available grid power across Nigeria and help bridge the significant energy gap. In 2018, All On focused on partnerships to help accelerate access to electricity at scale. For example, it approved investments for solar home system provider Lumos and for Cold Hubs, a company that provides solar powered refrigeration for agricultural products. It also co-invested in a dedicated debt fund for off-grid energy companies – the Off-Grid Energy Fund – along with the African Development Bank and other leading development financial institutions. In addition, All On partnered with the United States African Development Foundation to provide $100,000 in grants and convertible debt to several enterprises providing off-grid solutions that deploy renewable resources and power local economic activities. Authorities in various countries are investigating our investment in Nigerian oil block OPL 245 and the 2011 settlement of litigation pertaining to that block (see Note 25 to the Consolidated Financial Statements in our Annual Report).